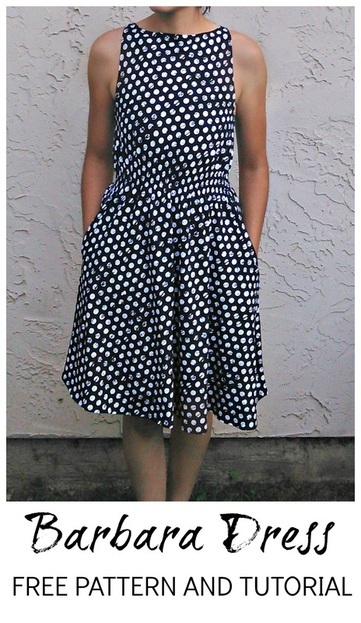 If you want to achieve a 50's inspired dress with a modern touch, the Barbara dress pattern will help you do just that. Barbara dress pattern features a practical and easy to wear dress that is also feminine and with a great flow. Highlight the beauty of the fabric by simple lines and a great flow. This dress will be your favorite this month! I really find this to be an attractive dress and something I would love to make … however, I am a plus sized woman and am embarassed by the extra rolls that would be visible from the back by the shoulder/arm area, so I am passing on this dress but look forward to future patterns for us “well endowed” women! Thank you! Thanks so much for your suggestion. This is a great idea for a future project.